Tahiti Village is renowned for its long Lazy River and its Tahitian themed pool area with sand beach entry. 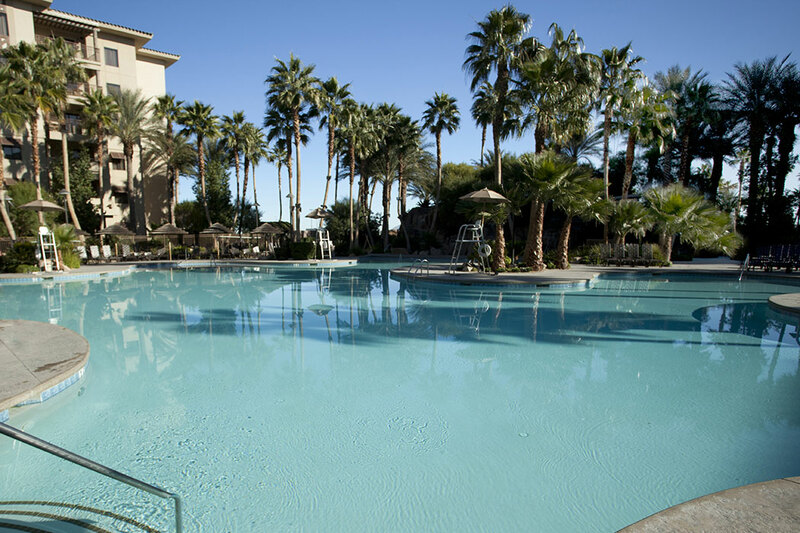 Stay with us, enjoy Las Vegas’ tropical paradise, and take a moment to feel the Tahiti Village vibe. 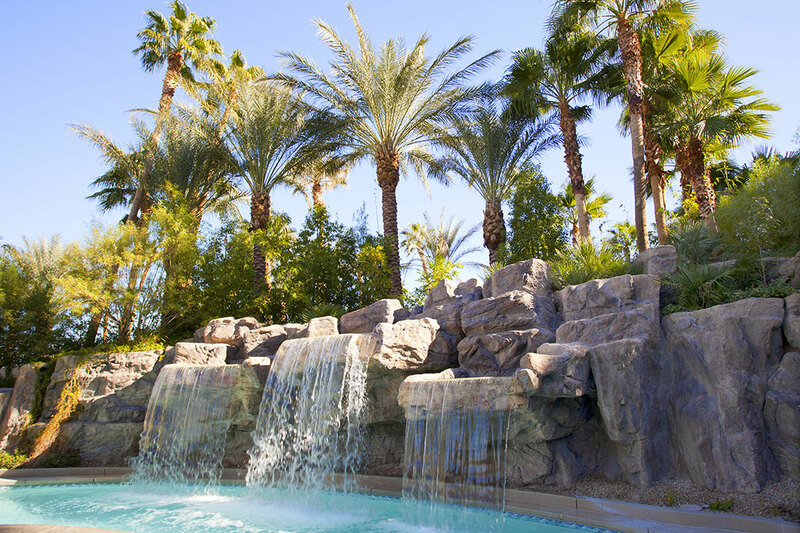 Tahiti Village’s pool area also boasts one of Las Vegas’ longest Lazy Rivers. 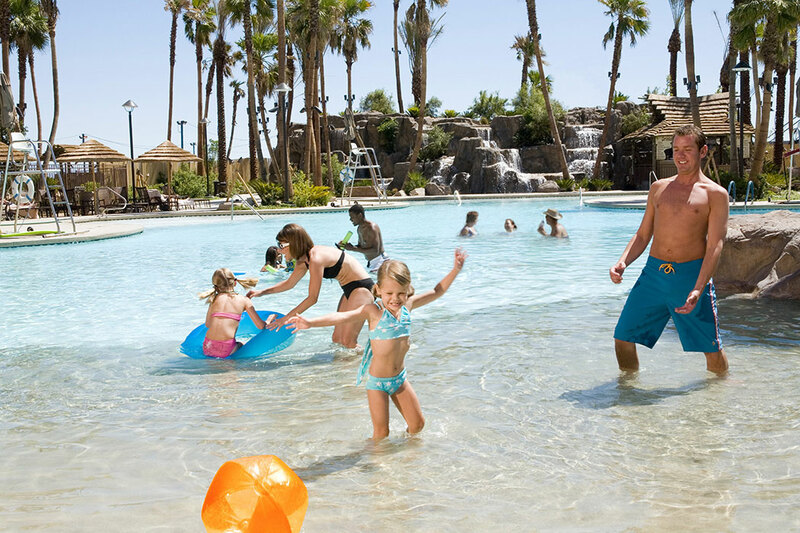 Our seasonally heated Lazy River will float you to relaxation, and keep you cool as you encounter four beautiful waterfalls along your Lazy River passage. *The entire pool & Lazy River area are exclusive to Tahiti Village guests and a valid room key must be present to gain entry. Pool hours change seasonally. 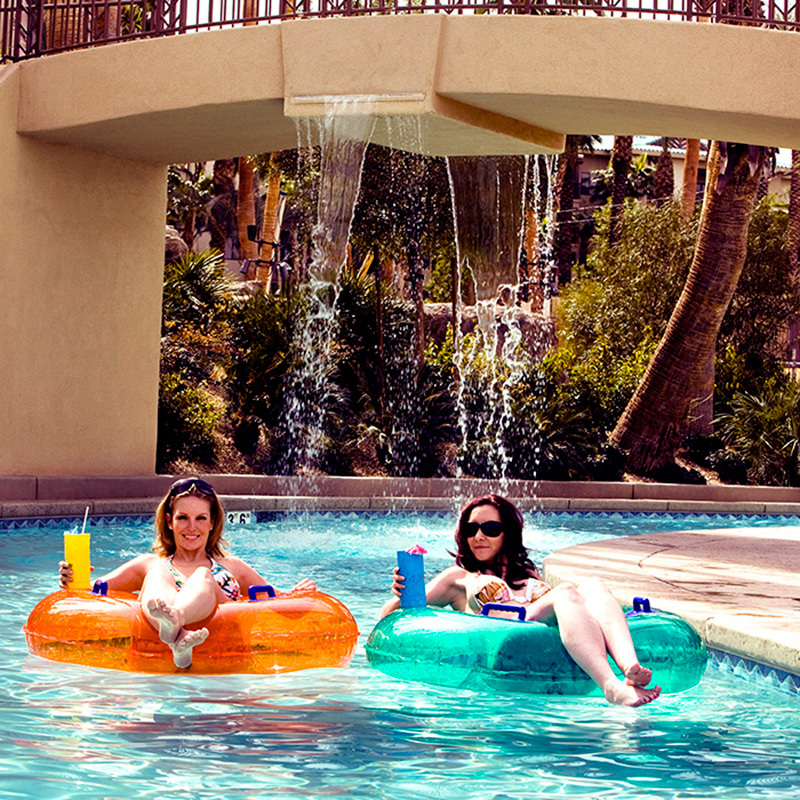 Outside food or beverage not permitted in the pool areas per Nevada administrative code (NAC Statute: 444.288). WARM UP WHENEVER YOU LIKE! 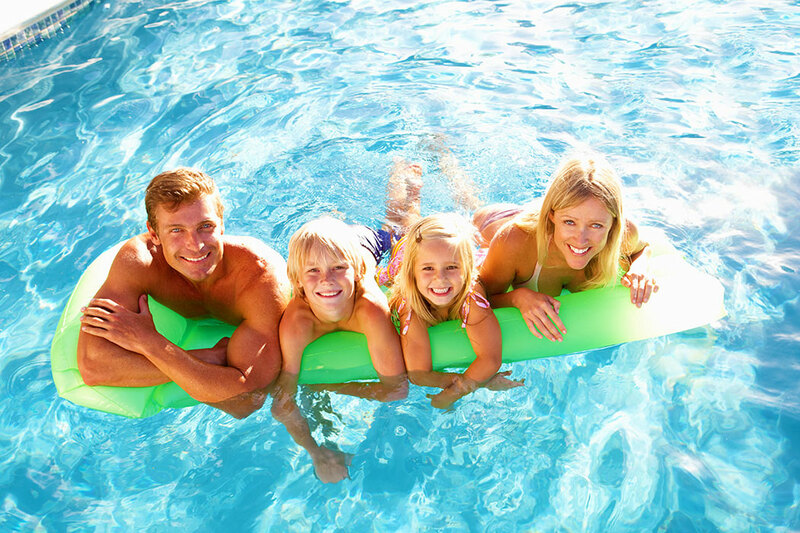 For your convenience we offer two 24-hour hot tubs – one exclusively for adults, the other for the entire family. 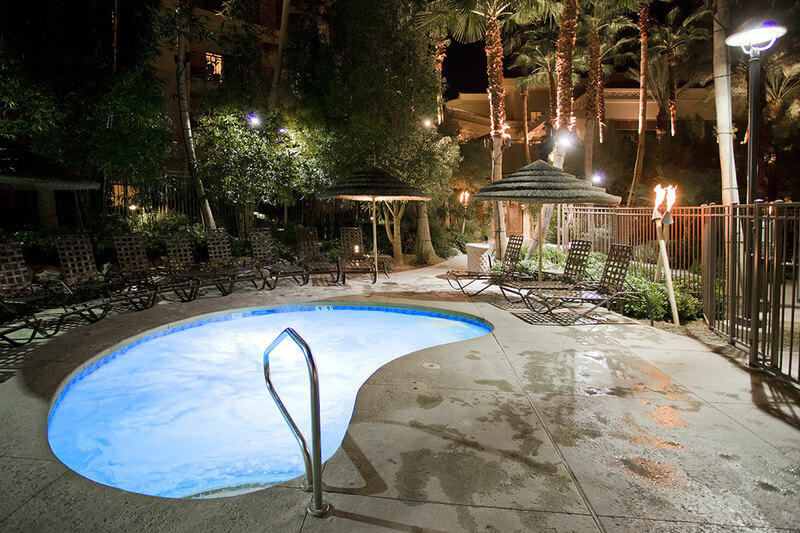 After a long night on the Strip, there’s nothing better than returning to Tahiti Village and submerging yourself in total relaxation.